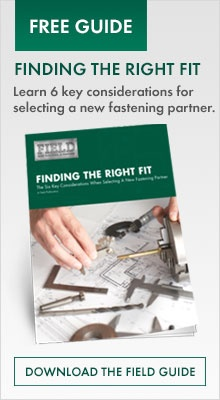 When submitting an RFQ or RFP for fasteners there is a lot to consider. One of the obstacles and most challenging terms when competing for business is “Comparing apples to apples”. 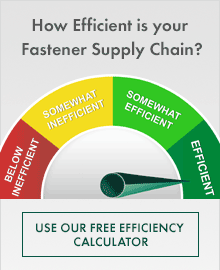 Though this might seem as the most effective, efficient and fair way to compare fastener suppliers and find the lowest cost, there are some negative components to consider. When comparing “apples to apples” you take the ability for a well-established, experienced and solution providing organization to provide the correct solution for your specific wants and need away. Let’s be honest, even though we might think we know what is best for us or the task at hand, we cannot all be experts in everything. Let’s say for example you are looking to get your oil changed, spark plugs replaced and tires rotated. You call three shops and tell them exactly what you are looking for in order to receive a quote. Shop #1 is a guy or gal who works out of a home garage, Shop #2 is a small shop that you often pass by on your way home from work, Shop #3 is at the dealership where you bought your car. Shop #1 is the cheapest and quotes you a price of $150.00. Shop #2 comes in second place at a price of $175.00. By using the general information that you have provided and not allowing the providers to further go into detail on service, exploring the car prior to service or visiting the shop prior to making the decision. You would most likely choose the lowest provider who is shop #1. What you didn’t see or hear is that #1 is not a valid business, they do not carry any insurance, the training of the technician is solely based off trial and error, the tools they use are antiquated and that they sometimes re-use old car parts or the cheapest brand. Shop #2 has a valid business license and insurance, the correct tools for the job but they are somewhat aged and might be a bit out of calibration, they spends 50 hours a year training there employees and only uses new parts to fix your car. These part might not meet OEM (original equipment manufacturer) specification but would probably do the trick. Maybe we need to ask a question here. Will the parts that do not meet OEM specification void my warranty? Now by exploring each shop and understanding there capabilities & credentials and not just comparing the previously specified scope, what shop would you choose? I personally would chose shop #3. A car is a large investment and is like anything else, the more you take care of it the longer it will last. When maintaining a car and spending a little extra on the upkeep it will cost you less in the long run. By not completing the proper maintenance to your vehicle you run the chance of destroying your $20,000.00+ investment because you didn’t spend that extra $50.00 a few times a year. If that investment has a catastrophic failure then you need to buy a new car. Let’s also think about safety for a minute. What if shop number one does not torque your wheels to the manufacture specified torque after the tire rotation? Is it worth risking your life for the lower cost? I am not saying that this is always the case. Sometimes the lowest bidder has a lot to offer and might be the right choice. I would just urge you to consider all of your options and to make sure that you really do your research and ask lots of questions. Ask yourself “what is at stake”? We can apply these basic principles to just about any decision we make in life. Is the lowest cost provider right for you?